artist-info Artist Exhibition Statistics page. 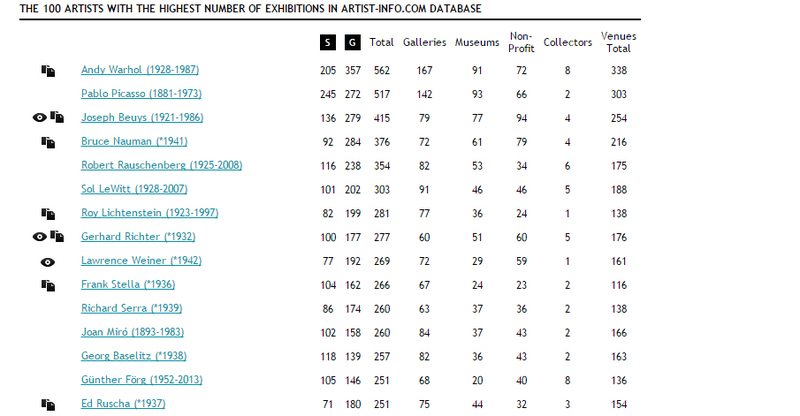 Like ‘Visualizing Art Networks’ the artist-info analytics on the number of exhibitions of an artist is also based on exhibition history. The artist list is sorted downwards by the total number of exhibitions, which includes solo- and group-exhibitions.